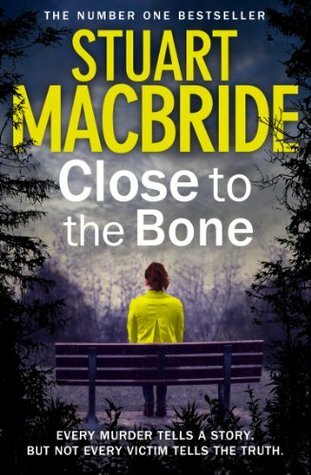 Close to the Bone by Stuart MacBride is the eighth in the series of novels about Scottish detective, Logan McRae. I have to admit to always looking forward to the next Logan McRae novel as I always know I'm in for a humorous, gore ridden, action packed, thrilling read. However, I was left disappointed by Close to the Bone. The story seemed to take forever to get going, as new characters were established and old ones returned. The witty conversations between McRae and Steel didn't seem to sparkle as usual and there were far less of them. I think overall, the story was good, and the plot well up to standard, but as a whole, it suffered by comparison to the previous books in the series. The bottom line is that I'd still recommend the book whether you're a fan of the McRae novels or not, but it definitely isn't my favourite of the series.